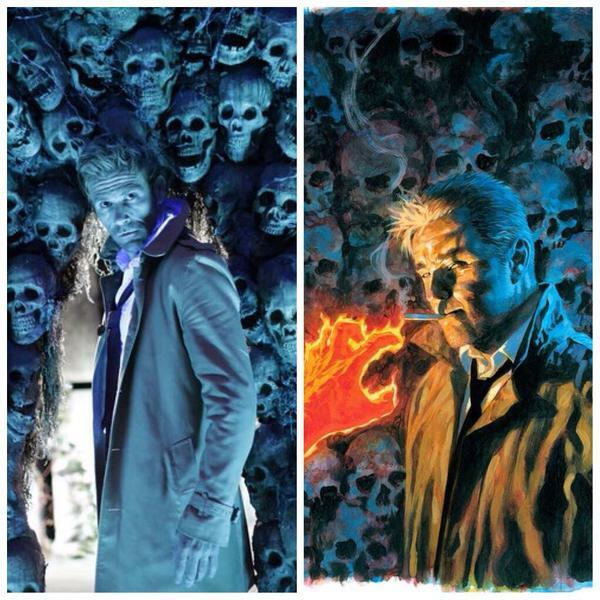 With a #SaveConstantine social media campaign now in full swing and only seven episodes remaining in Constantine's first season, tonight was a fairly light one for Easter eggs and DC Comics references, but a pretty heavy one for comment and analysis online. The whole cast, numerous writers and crew are livetweeting with fans, engaging social media to the best of their ability to keep it on NBC's radar. This is especially important this week, as the episode -- which was shot as a Halloween special and aired out of order -- didn't feature series regular Angelica Celaya or follow through on man of the show's recurring elements. What it did do, though, was follow up on the Rising Darkness plot thread that drives the entirety of the season -- ironically, something some critics went after early episodes for seeming to ignore in favor of establishing the Zed/Constantine/Chas dynamic. That sword that Chas was playing with at the mill house? That's a major piece of DC Universe history right there. 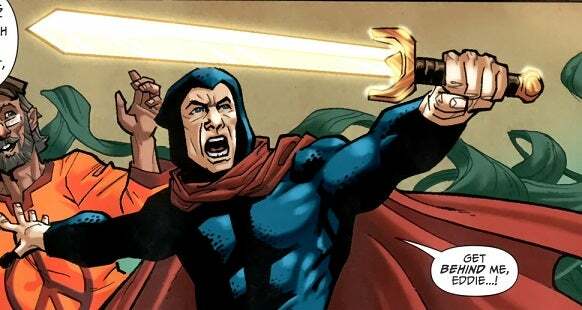 Belonging to the supernatural superhero Nightmaster, the Sword of Night not only makes its bearer more inclined to tell the truth, but it can compel others to do so as well. It can also warn the bearer of oncoming danger, and projects an aura that prevents time from passing normally around the person, preventing Nightmaster from aging. Renee Chandler is Chas Chandler 's wife. A fat overweight, often a misandrist and cruel but loving wife and mother, she harbors hatred of John Constantine and Chas' friendship with him. She constantly forbids Chas to interact with John, knowing the dangers of his relationship to the magus. She and Chas have a daughter, Geraldine Chandler, and a granddaughter, Tricia Chandler. If you enjoy these Easter egg posts, you shoudl really follow Dave Blass on Twitter. He's the one who helped us flesh out the post this week, posting photos of some things that I didn't see clearly to his Twitter account. One such thing? 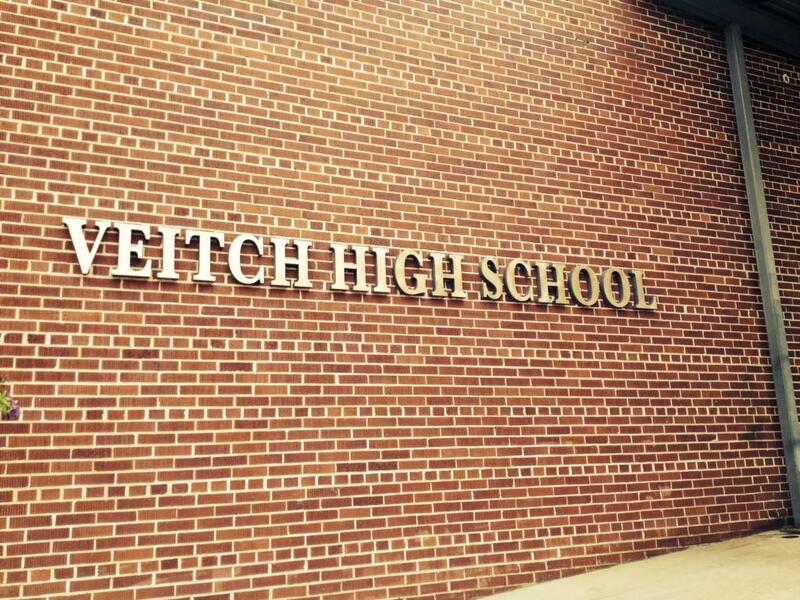 The sign above, taken from the high school in the show and named after comic book scribe Rick Veitch of Hellblazer: Original Sins fame. That map Constantine uses to detect the ley lines is chock full of Easter eggs. ...Well, there are at least two. The Ley line map was created by Ken Ondaate, better known to Hellblazer fans as Map. Map, who first appeared Hellblazer #135, is a powerful magician who could have been king of the magi but instead elected to live a quiet life clearing up rail lines on the London Underground. He draws his power from London which can, in turn, draw psychic energy back from him, leaving him somewhat more vulnerable. There's also a spot along that coastline at top right that's marked "Alex Holland." 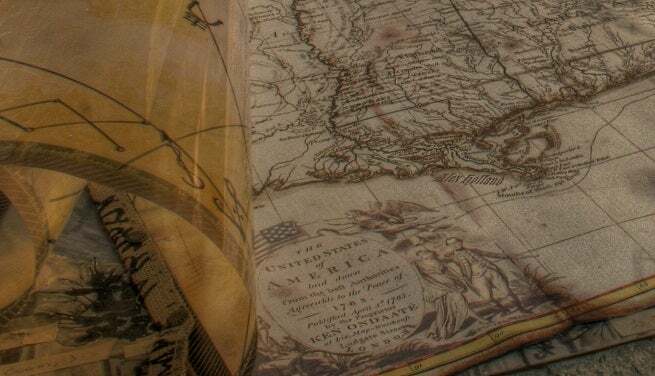 Alec Holland is the host to the Swamp Thing for most of the character's existence, and so that seems like a pretty obvious nod to him...but in a map that's dated to be more than 250 years old, what could it mean? Perhaps Holland had ancestors back that far, or perhaps Map knew that Holland would be important and planted a clue. One of our readers spotted a trick-or-treater dressed as Robin right at the end of the episode.